This entry was posted on Monday, October 29th, 2018 at 4:38 pm	and is filed under Living Proof Live, Recap Videos. You can follow any responses to this entry through the RSS 2.0 feed. You can skip to the end and leave a response. Pinging is currently not allowed. Beth and everyone at LPM, Thank you for coming to Albany, N.Y. and giving God’s word to us!! I am praising God for His immeasurable love He has for us and the people He uses to get His word out. I pray that all of you at LPM, are blessed by God and know how grateful I am for what you do!! Thank you again and God Bless you! Let’s keep dancing! 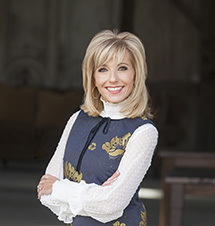 Thank you Beth Moore and Living Proof Live for the gift of sharing your faith, encouraging us in the Albany area, praying for and with us and most especially for giving us an encounter with Jesus Christ. Is it possible to get a video clip of the story that Beth wrote and read to us Friday night? So many of us women would like to hear it again…and again..and again. Be assured of my prayers for you and your ministry that you would continue to make Him known in a world that so desperately needs Him. Flew all the way from Amarillo, TX to the Albany LPL. It was great! Is there any way I could get a copy of Beth’s story she wrote and read to us at the end of Friday’s session? I wanted to tell you and your whole team what a great time of worship and fellowship we all experienced during your time in Albany.The Lord made it possible for me to attend and I was not disappointed. You touched my heart and the Lord’s presence with us was beautiful. I know this area is not like the south but the believers here are hungry for the opportunity to worship ad grow the way we did last weekend with you. Thank you so much for coming.My prayers are with you and your team. Hi Beth, Will you be having the Siesta Scripture Memory for 2019? If so, when will the information be released so we can sign up? Thank you for who you are and all you mean to us. We will not be doing the Siesta Scripture Memory in 2019. We apologize for any inconvenience! Wishing you a joyful 2019!